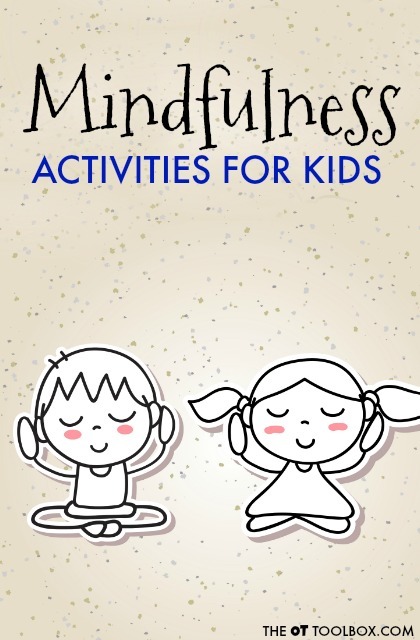 Here, you will find fun mindfulness activities to help kids with creative mindfulness exercises that can help kids feel better, reduce stress, address anxiety, and have a greater awareness of their body and mind. Mindfulness activities for kids can be used as a self-regulation tool or a coping strategy. The sky's the limit! 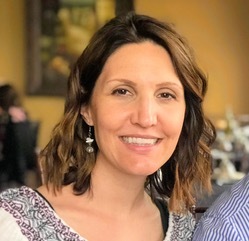 Looking for more ways to teach mindfulness? Here are winter themed mindfulness activities that kids will love. First, let's talk about what mindfulness means. Mindfulness is the ability to bring your attention to the events happening in the moment. It allows us to carefully observe our thoughts and feeling, to develop a sense of self awareness. Mindfulness can be done anywhere. It does not require special equipment. 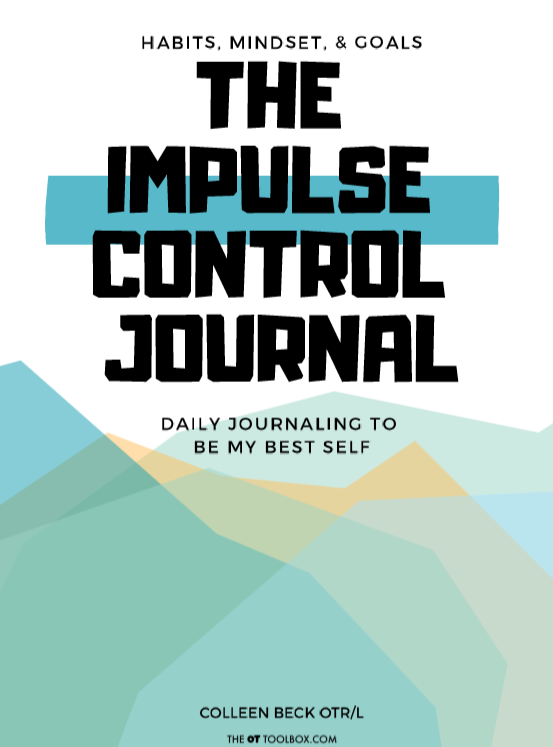 It can be as easy as sitting and thinking or visualizing a place in your mind. Mindfulness is great for any age, including kids. School can be a very overwhelming experience with expectations, rules, noises, crowds. 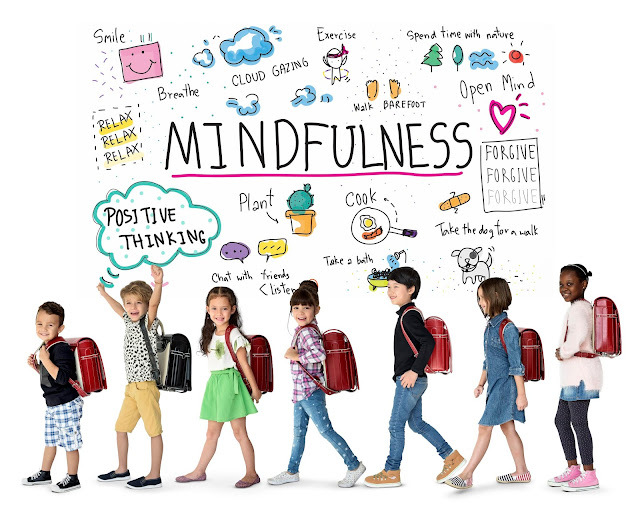 Being able to do fun mindfulness activities can be a good way for children to self-regulate, focus and feel better emotionally and physically. Learning how to self-regulate (being able to manage your own emotions) is an important skill to learn at a young age. 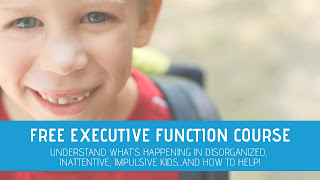 Mindfulness is a helpful tool in addressing executive functioning skills needs in kids. Listed below are some easy, beginning mindfulness activities to try with kids. Looking for more ideas? Here are some mindfulness videos on YouTube. Taking deep breaths is so important in relaxation it brings awareness to your body. There are many different ways to teach kids to take deep breaths and then blow out. Using a pinwheel, blowing bubbles, blowing out candles, picturing a balloon opening and closing with breath. Even having your child breath in while you count to 5 and then breath out. Have your child lay on his/her back. Tell them to tense up all muscles from head to toe and hold for 10-15 seconds. Then have them release and relax, ask them how they feel. This exercise helps kids to recognize how their body is feeling in a tense vs. Calm state. This is a relaxation technique that is used to promote positive mental images. 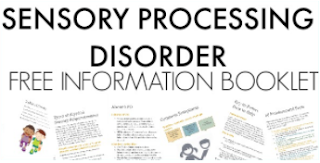 You can find guided imagery scripts online, pertaining to many different subjects from nature to emotions. Start by having your child close their eyes, while seated or lying down. 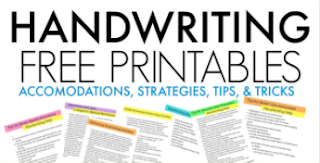 Slowly read the script and have them visualize the image in their minds, then have them draw a picture of that place and keep it in their desk or at home as a reference to a calm place for them. Being outside and taking a walk is a great way for your child to be present in the moment. Point out the different sounds heard from birds chirping to leaves rustling. Notice the smell of the fresh cut grass or flowers. Feel the different textures of sand and rocks. Notice the sun, wind and clouds. Bring a blanket and lay on the grass, look up at the trees, look at the clouds. Walk over to a pound and listen for frogs, look for fish and throw rocks in to make a splash. Taking deep breaths and stretching can be a very calming and teaches you to be aware of how your body is feeling. Turn the lights down, put on relaxing music and help guide your child through bedtime relaxation stretches for kids. Use these mindfulness strategies for kids as a coping strategy, to help with attention in the classroom, to impact learning, or to address self-regulation needs. 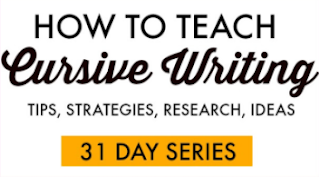 What's very cool is that each awareness activity could be themed to fit classroom or homeschool lessons, the curriculum, or seasons. 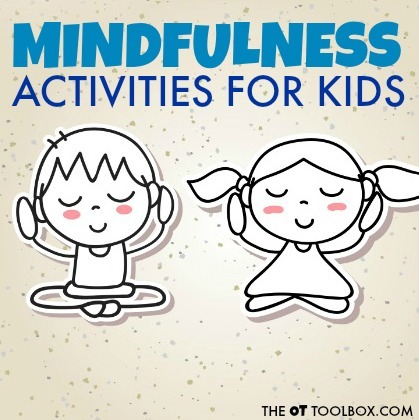 Make these mindfulness activities fit the needs of your classroom, clients, and kids! 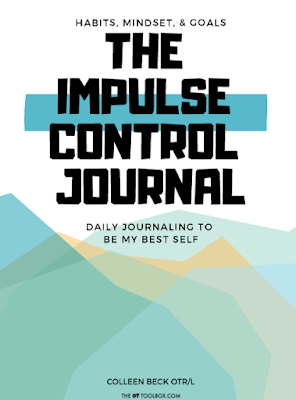 Mindfulness is a coping strategy used in The Impulse Control Journal.